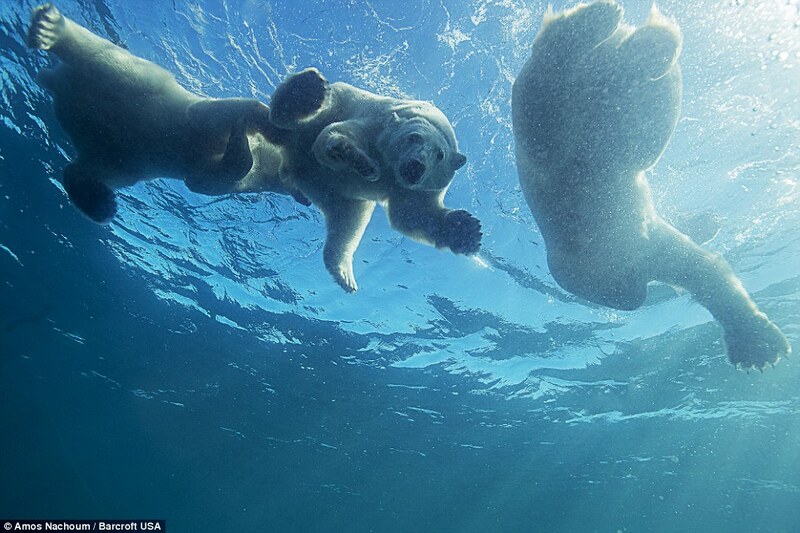 Amos Nachoum, 65, came face to face with the apex predator whilst diving off the coast of north-east Canada in August. He said: "I was just feet away from one of the world's best predators, I was so excited and thrilled that I had no time or space for fears. 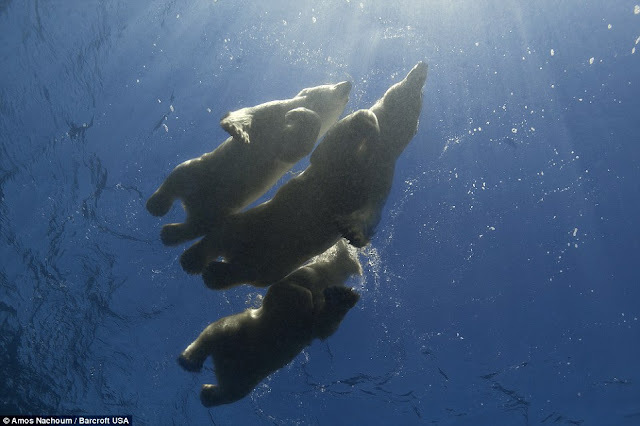 "I felt safe, as the bear family did not show any hesitation or change their behaviour when they spotted me. "I wanted to do this to educate people to protect these beautiful animals and the wilderness they inhabit. "I had studied the bears for ten years since my last encounter and I was patient - waiting until exactly the right moment before I dived with them. 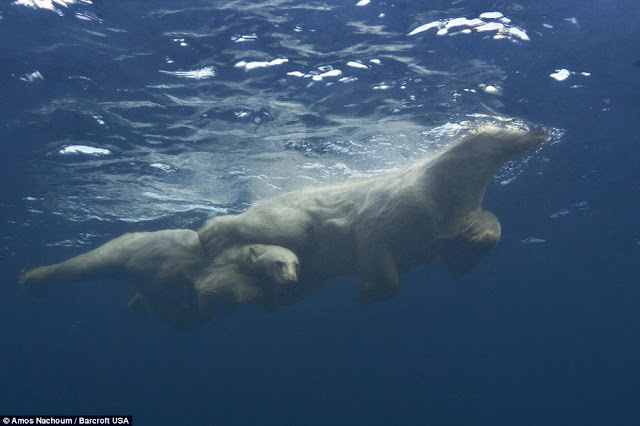 "I positioned myself on the path of the family of bears - around 200 yards away and watched them swim towards me. "When they were around 20 feet away the female locked eyes with me and I submerged beneath them. "I was calm throughout as the protective mother realised that I didn't pose a threat so left me alone - it was magical." 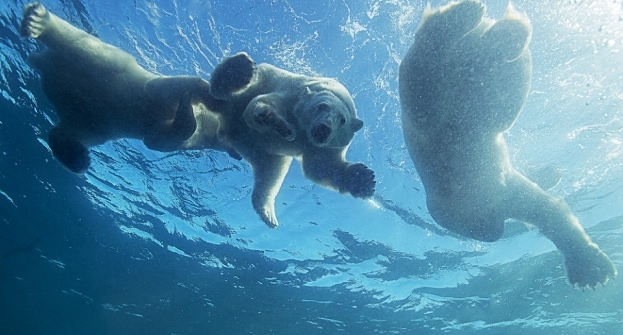 Amos has previously taken up-close, underwater pictures of Nile crocodiles, anacondas, leopard seals, orcas, great white sharks and grizzly bears. 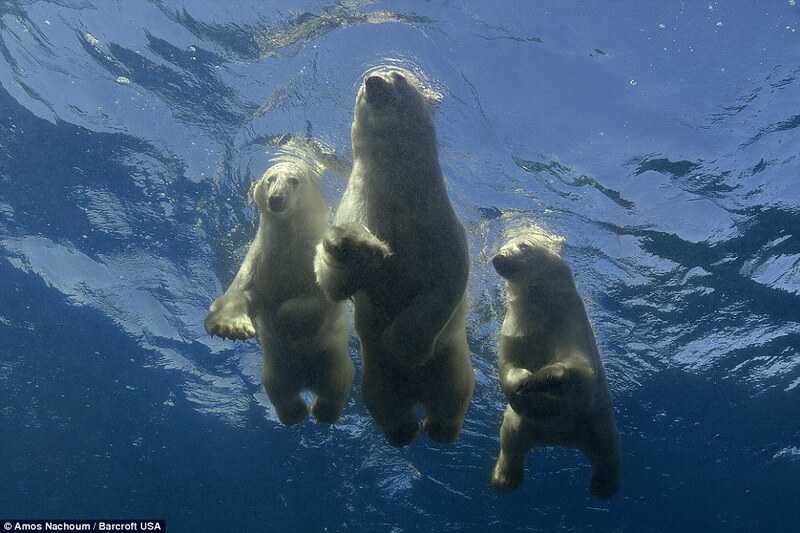 Responses to "Incredible moment a mother polar bear teaches her cubs to swim"